Central Systems is a company with many capabilities. They are a leading provider of solutions in integrated civil construction, remedial construction, facilities maintenance and management service in many industrial and commercial sectors in Western Australia. Their variety of services sets them apart in the marketplace, with each only serving to complement the others, never to detract from them. When Central Systems was originally formed in 2003, it focused predominantly on commercial building maintenance and remedial work. The construction division came later, but is now fully up and running, and staffed by a contingent of experienced and skilled people. Richard Eden is the Managing Director of Central Systems, and one of his focuses is making sure that their civil construction capabilities are recognised. The company already has an extremely good reputation in the marketplace for their remedial and maintenance work, and he wants to see their construction side enjoy the same prestige. “Yes, the remedial capabilities and expertise are still very much there and still very much central to the company’s future, but the construction capability is equally important and we intend to see that business grow,” he says. Today, Central Systems is fairly evenly split between their construction division and their services division. In the former, the company offers a full suite of services including detailed earthworks, in-ground services, in-situ concrete construction, formwork manufacture and precast structural concrete. “That’s a whole-of-service contracting capability,” says Eden. “We do it all in-house with direct labour and try to provide a complete civil concreting construction capability.” Their construction division accounts for roughly half of the company’s turnover. 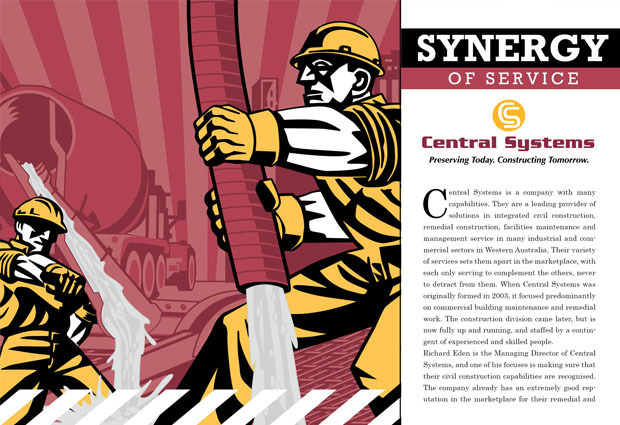 The construction arm of Central Systems was introduced when Eden and his colleagues bought into the business. “When we first decided to join Central Systems as shareholders, we looked at the business as it was and we thought there was a good range of clients, and a good range of skills and expertise,” says Eden, explaining their decision to diversify. 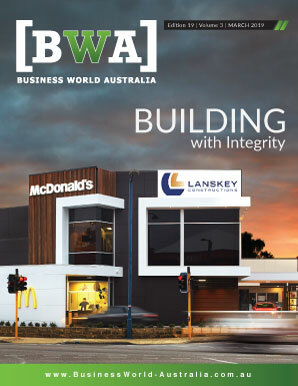 “But we saw there was quite a lot of synergy and therefore a benefit available from being able to offer both construction and remedial.” That combination is rare for a business to have, especially in Western Australia, but it has paid off for Central Systems over and over again. 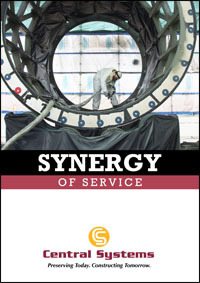 That is not the only way both services – specialised construction and remedial – feed into each other. Central Systems’ personnel are also able to utilise their experience in one field to better improve their performance in the other. Doing maintenance, for instance, gives them a unique perspective on building new assets. “Because we’ve spent so long fixing these problems for others, it makes us very tuned in to what we have to be careful of, and what we have to make sure we do right when we do new construction ourselves,” Eden says. Another important focus of Central Systems is their customer service, which they foster by simply being the best they can be at what they do. “Most clients want to do business with a company that is innovative and does have an entrepreneurial element,” Eden says. “Our safety commitment, our demonstrated ability to do projects and keep people safe, and our technical performance are key aspects.” Central Systems have a “whole of life” philosophy when it comes to a civil construction asset – so having continuously happy clients is important. The company can do – and aims to do – the initial civil construction in-house, continue do maintenance on the asset to maximise its life, and ultimately, when the asset’s design life expires, they can do partial demolition and reconstruction. Central Systems are currently occupying an advantageous space in the market. They are small enough to still have a high level of innovation, but also large enough to take on reasonably sized projects and provide the quality, management systems, and safety that their clients look for – particularly those in the mining and oil and gas sectors. This means they are well set up for the future, both in the long term and short term. “We’re looking at a pretty good year next year,” Eden says. “We’re quite excited about it.” They have a number of projects lined up, including more work on the Gorgon gas project, which they have already been on for 18 months.